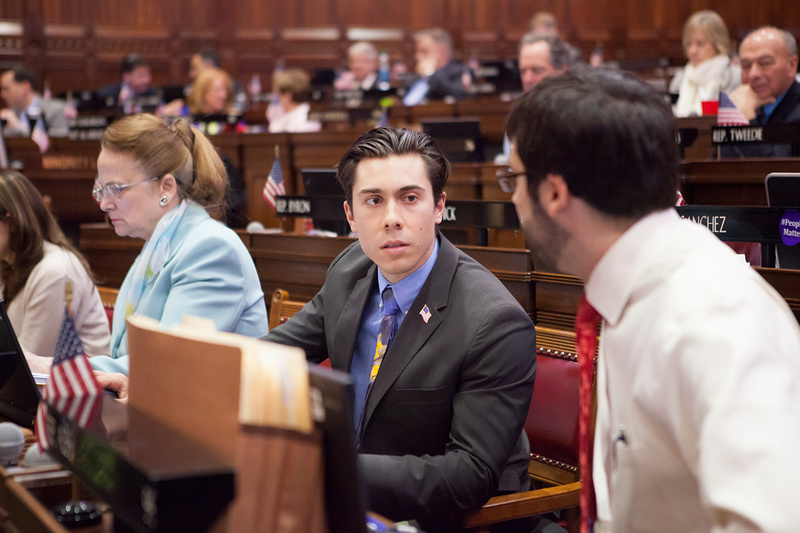 State Representative David Arconti (D-Danbury), vice chair of the legislature’s Environment Committee, has been appointed by Speaker of the House Brendan Sharkey to serve on The Council of State Governments/Eastern Regional Conference’s Energy and Environment Committee through 2016. CSG/ERC is a nonprofit, nonpartisan organization located in New York City since 1937, serving legislative, executive and judicial branch officials in 11 Northeastern states, as well as the Commonwealth of Puerto Rico, the U.S. Virgin Islands, and the eastern Canadian provinces of New Brunswick, Ontario, Prince Edward Island, Newfoundland and Labrador, Nova Scotia and Québec. Its mission is to promote successful state policy innovations, forge multi-jurisdictional problem solving, advocate for regional interests at the federal level, offer leadership training and technical assistance and forecast policy trends that affect the Northeast. CSG/ERC’s policy staff supports the three branches of state government through nine areas of special concern to the region. These include agriculture, criminal justice, economic development, education, energy and environment, fiscal affairs, health care, transportation and US-Canada relations. “As many states continue to struggle with budget shortfalls, it is crucial that we receive and share information to promote our regional priorities at the federal level,” Rep. Arconti said.